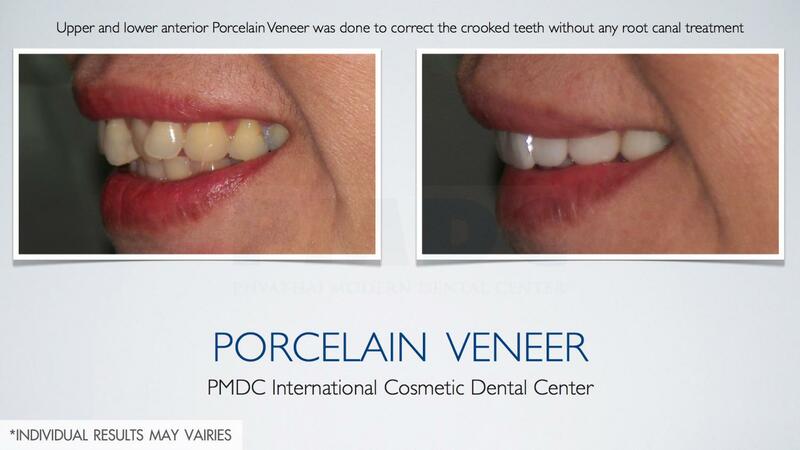 This treatment will restore facial side of your teeth with thin shell of Porcelain veneer that will improve your smile to be whiter teeth, correct crooked teeth, worned teeth or even the uneven crowded teeth to be a beautiful stright white smile. 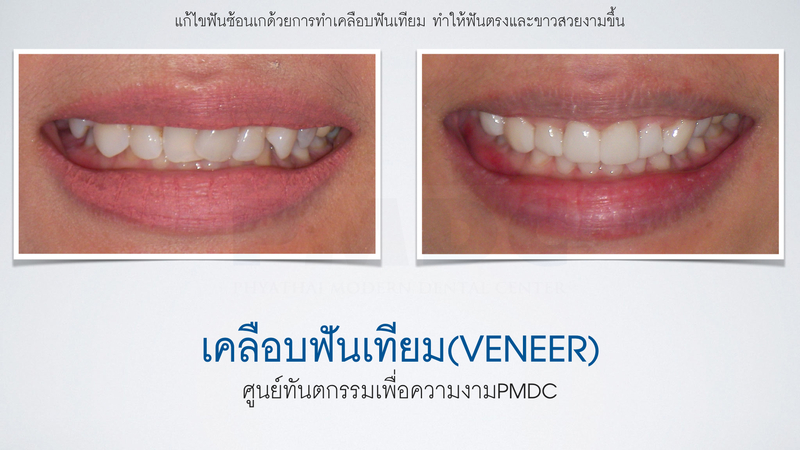 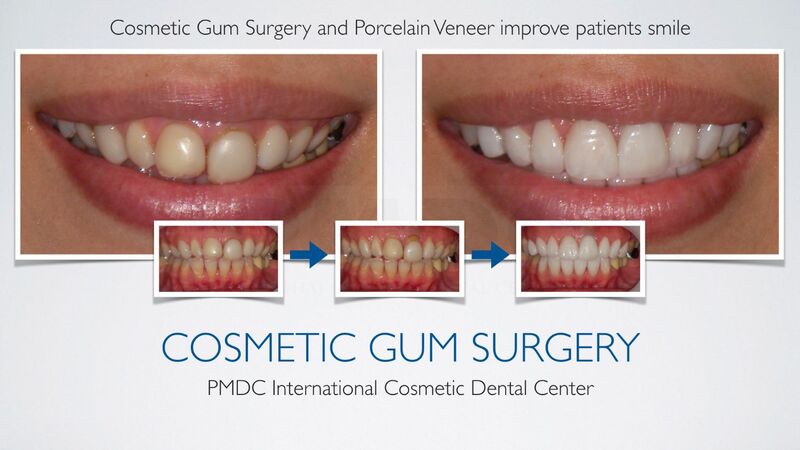 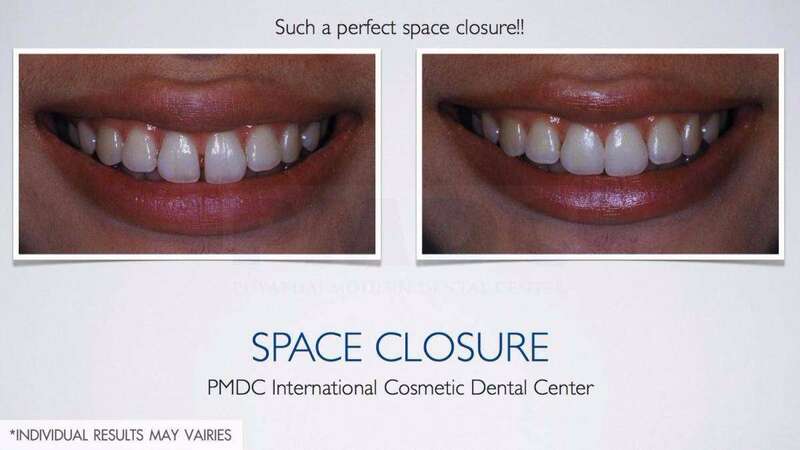 This is a most popular treatment among all Cosmetic Dentistry. 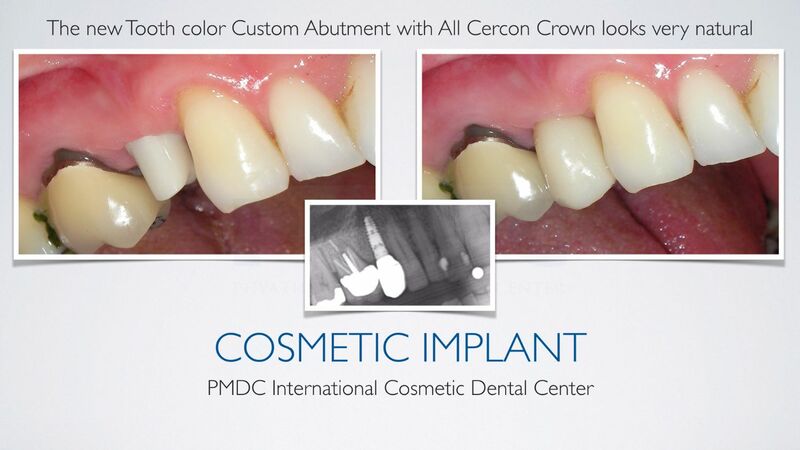 With the advance technology nowadays we can restore Implant to be a very beautiful and natural teeth. 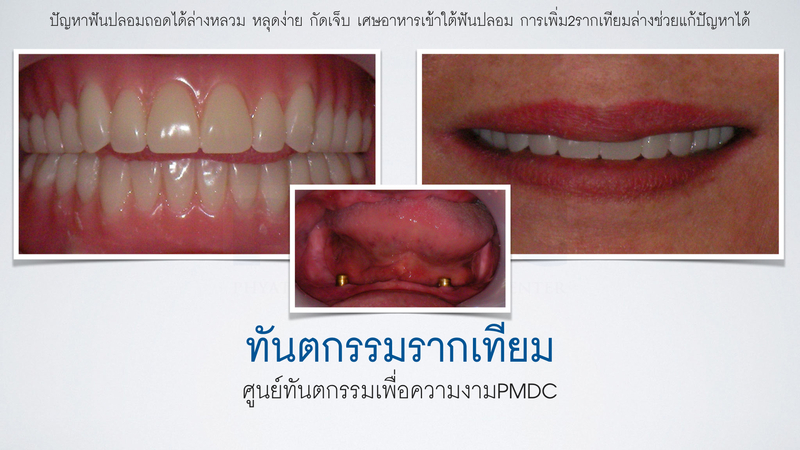 In case of few teeth are replaced we emphasize on the natural outcome of the individual tooth. 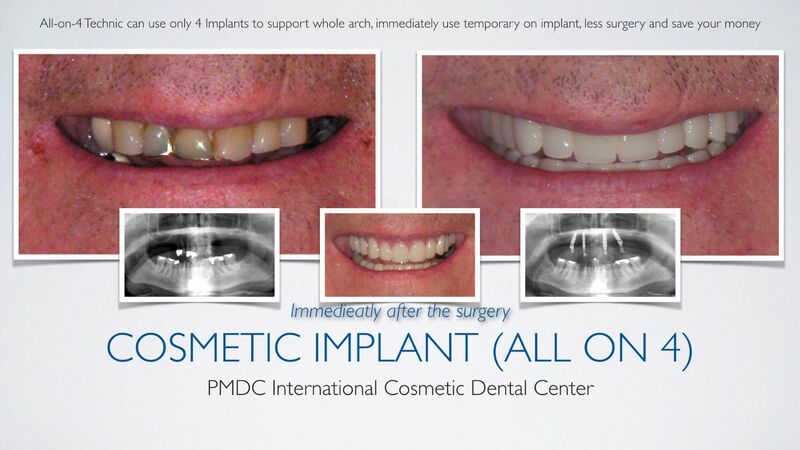 In case of partial or full arch of implants we will take care of the teeth arrangement to make you a beautiful natural smile. 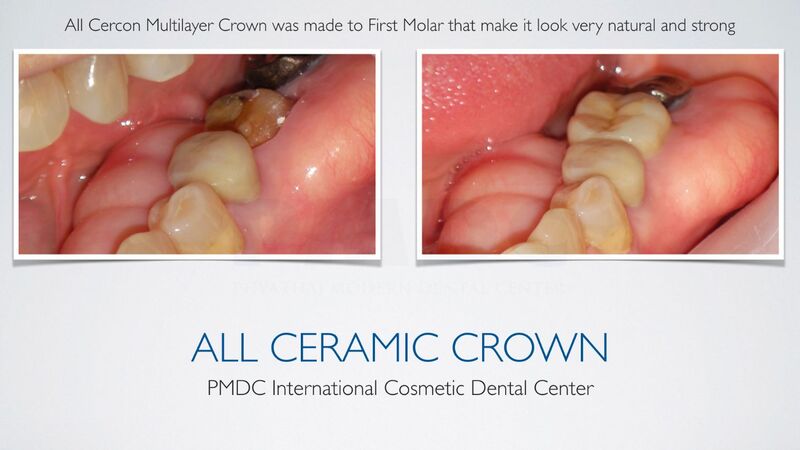 With the advance technology nowadays we can make crown that look natural and strong enough with no need of using metal for substructure anymore. 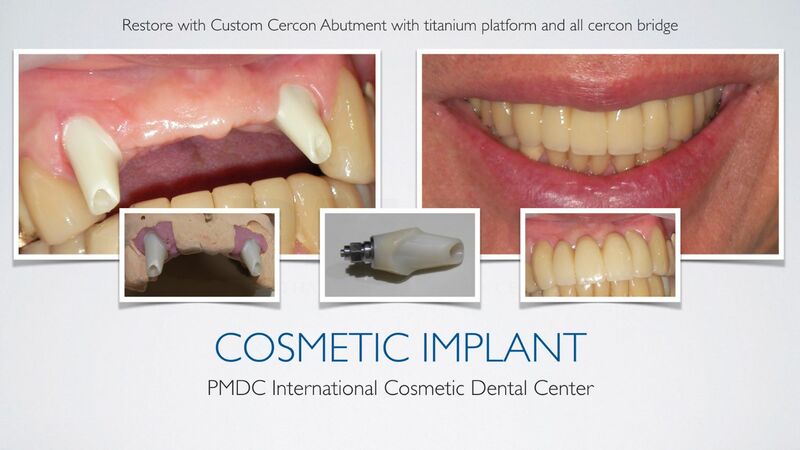 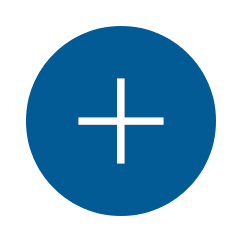 The material that we resently use is Lithiumdisilicate Porcelain or Cercon. 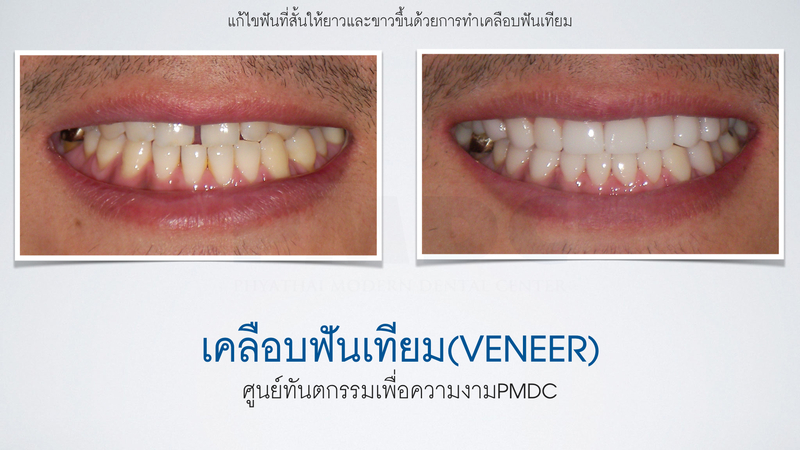 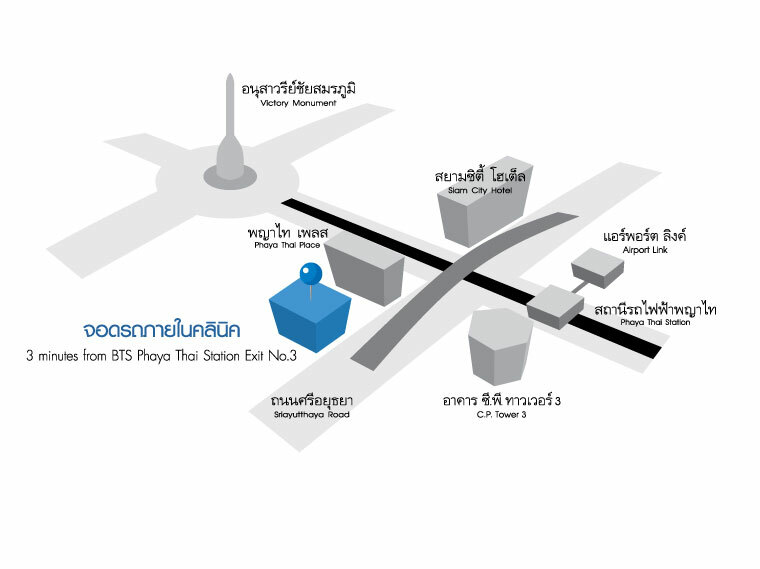 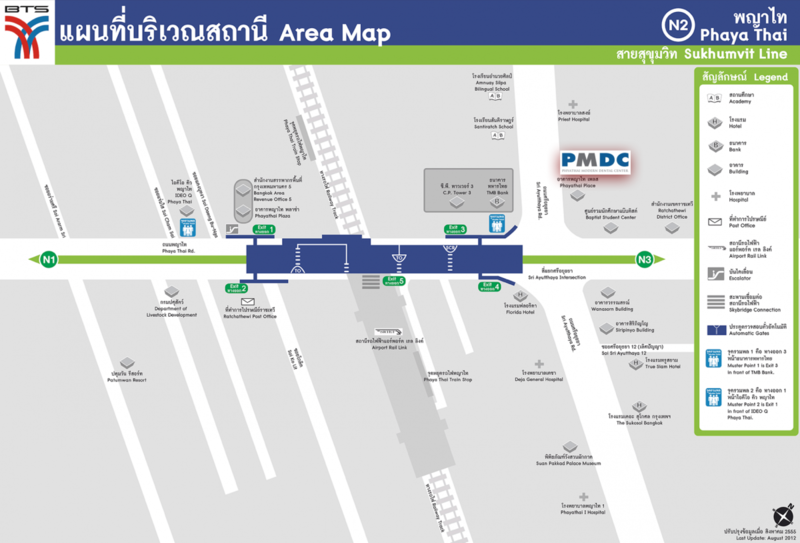 Our experienced dentist will choose which material is better for your case. In the case that patients have parafunction such as bruxism, their teeth will worn out so much and sometime will impair their lower face height. 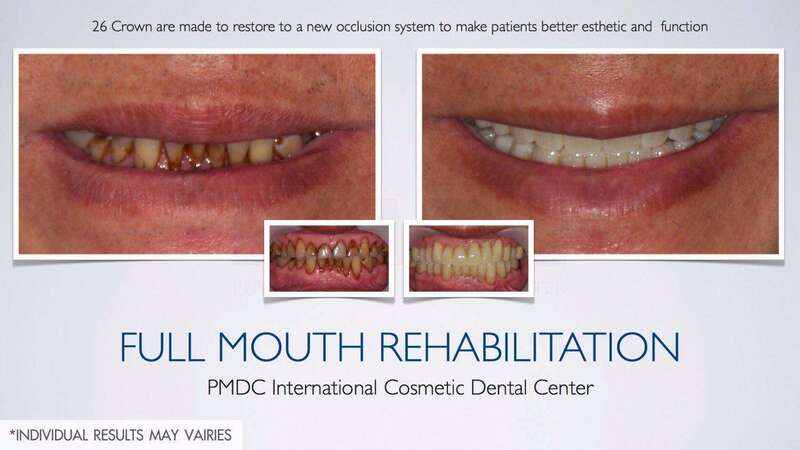 Or in the case that not look good and need to restore all the teeth in the mouth. 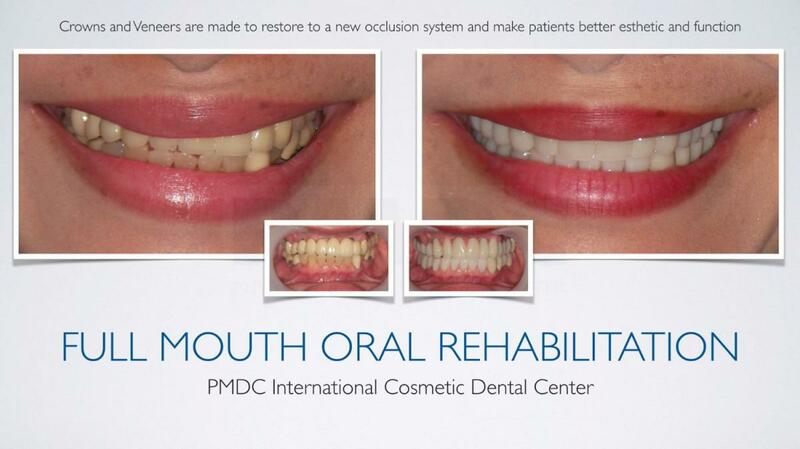 Our specialist can restore back the function and esthetic of the patients by planing to do Full Mouth Oral Rehabilitation. 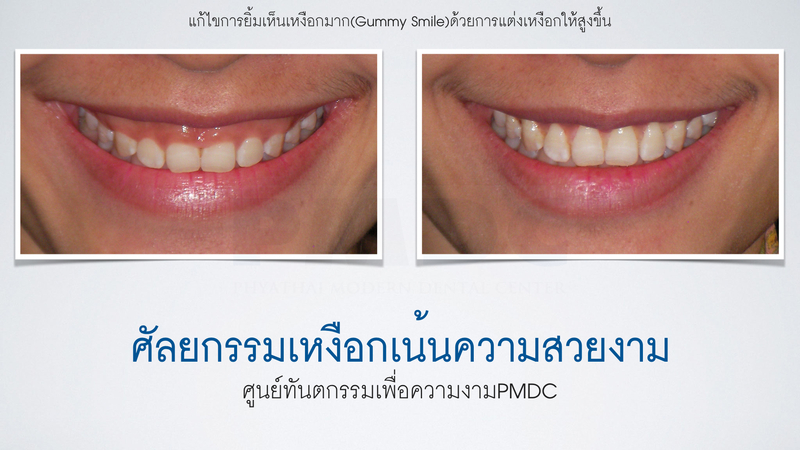 Beautiful smile is the result of the combination of gum and teeth in the mouth. 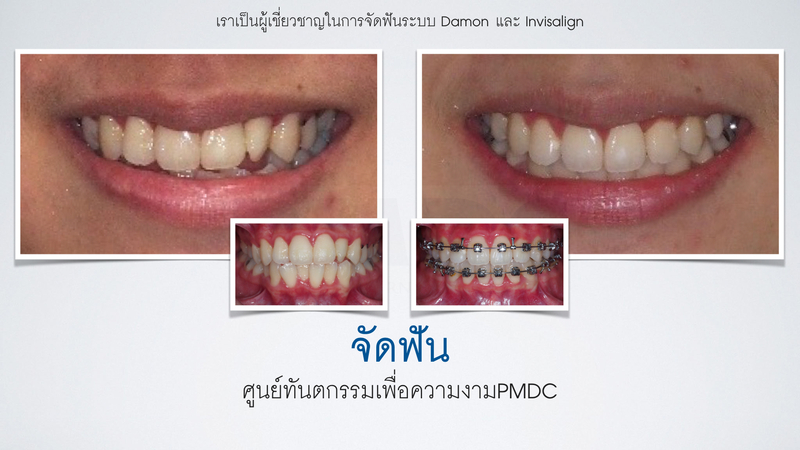 With the latest technology we can make it come out in good position. In the case that have gummy smile or uneven gumline, we can do Cosmetic Gum Surgery and may be some restortion to restore back the natural beautiful smile. 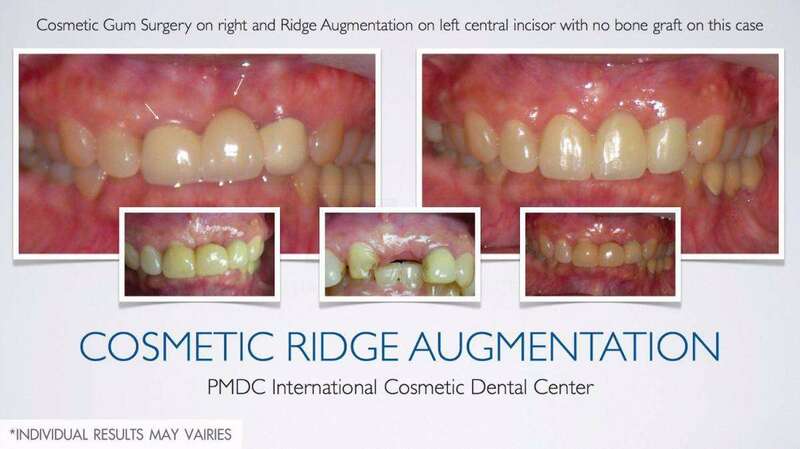 In the case that has ridge resorption after tooth extration on the anterior region that result in ugly smile, we can restore by doing Gum Augmentation in a less resorption area or doing Bone Augmentation in the more resorption area. Our specialist can bring back your natural ridge and beautiful smile. 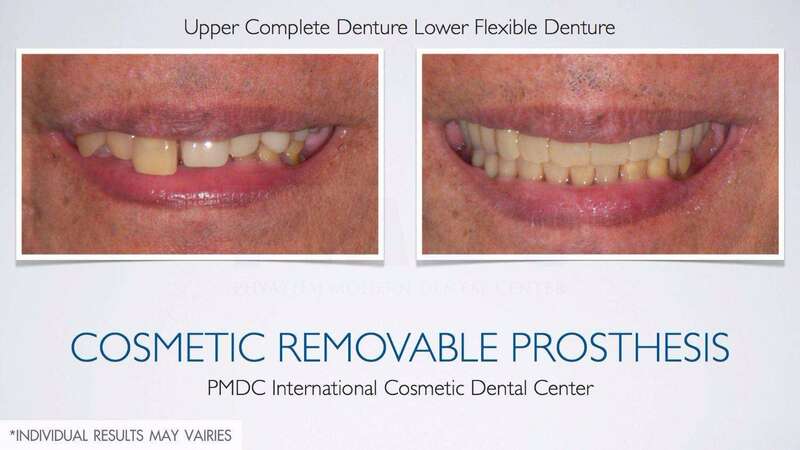 In the patients that have to use remavable prosthesis, the technology nowadays let us do it without any black metal clasp. 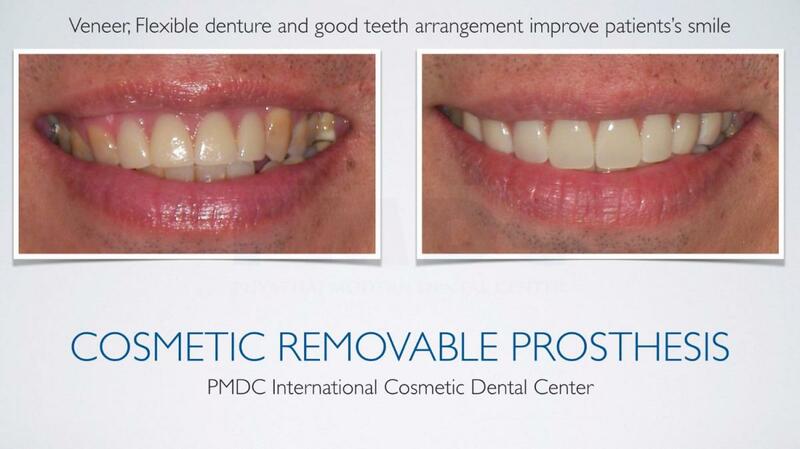 We are the expert in natural teeth arrangement to make the prosthesis come out very natural. 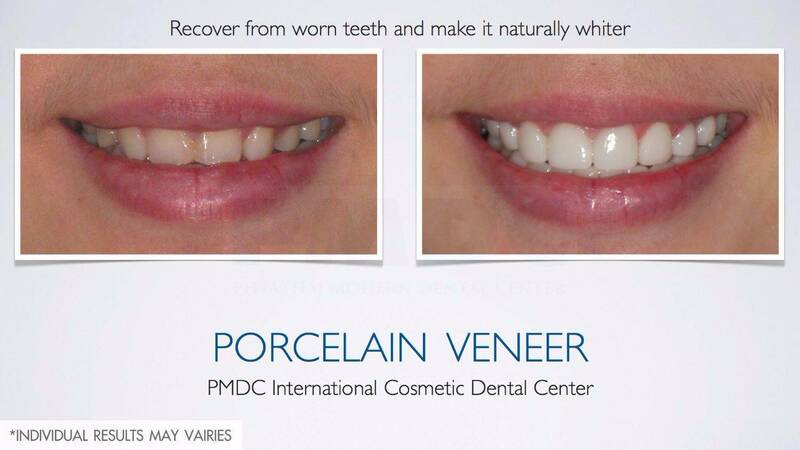 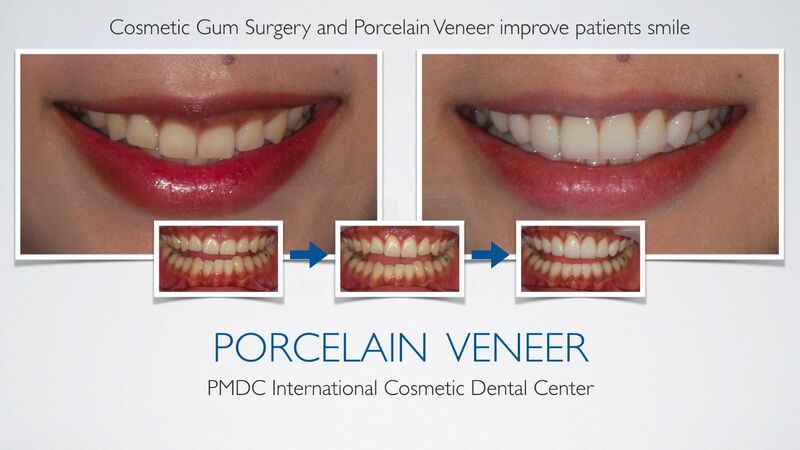 In some case doing some Poecelain Veneer in combination with Removable Prosthesis result in patients’natural beautiful white smile. 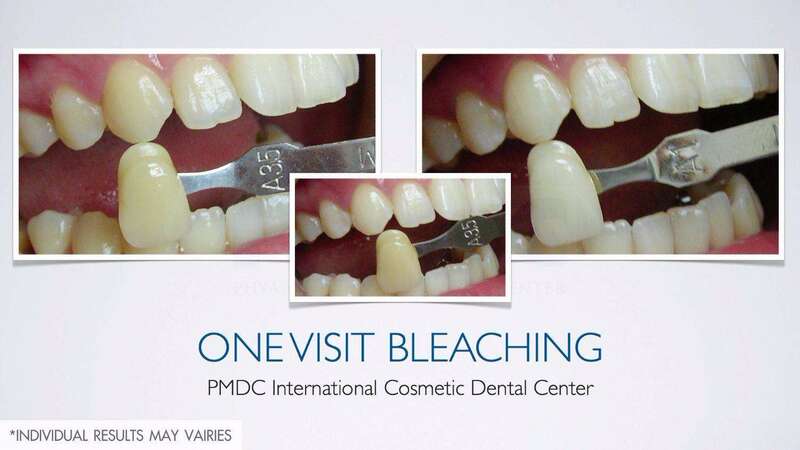 This is the Bleaching technic that need only one visit that the whole process is doing by the dentist. 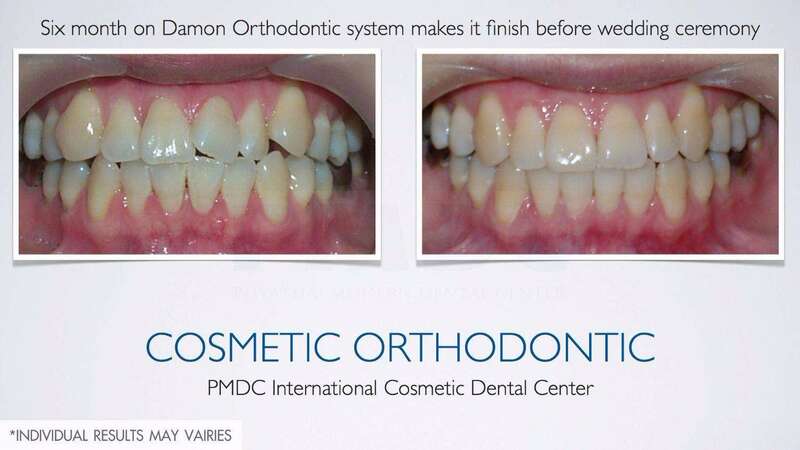 It is suitable for the patients that want the immedieat result or don’t want to bleach by home technic that have to bleach by themself and take time. 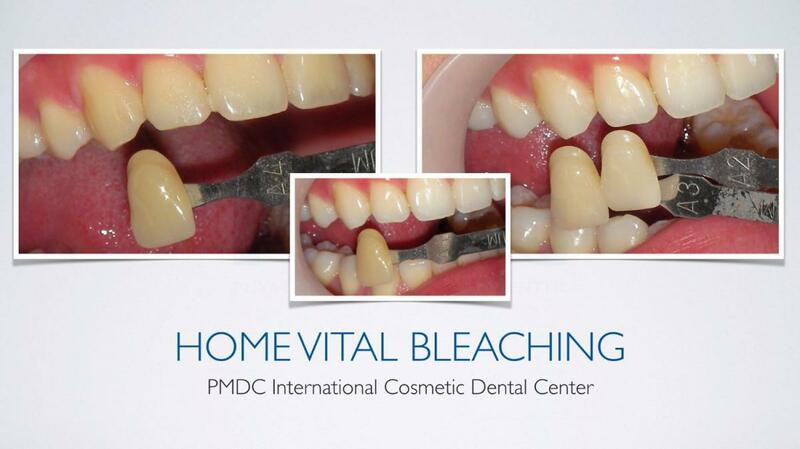 This is the Bleaching technic that patients have to do by themself at home in supervision of dentist. 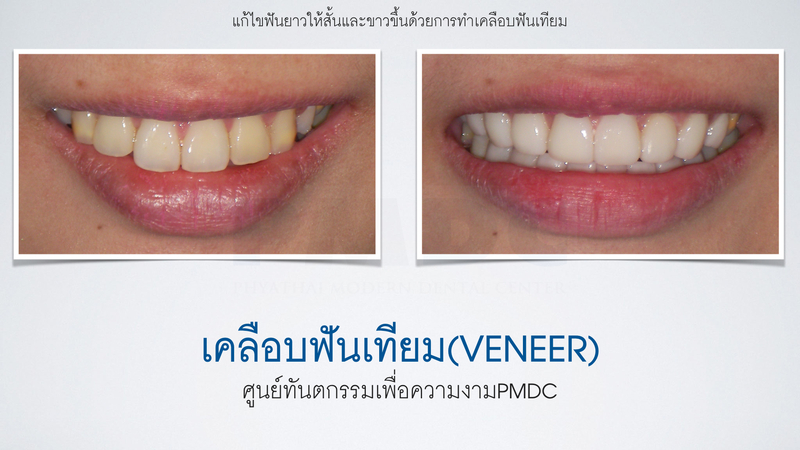 It will take one course of 3 weeks to finish the process. 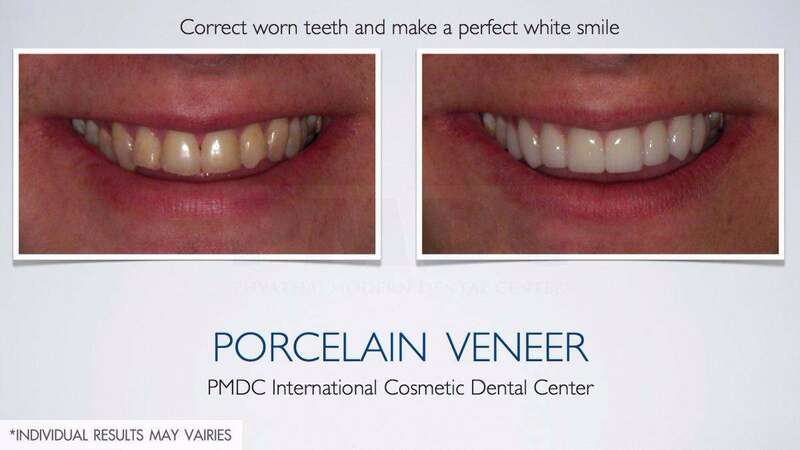 In the case that you have a gap between the teeth, you can solve the problem by doing some direct tooth color restoration on to the neighbouring teeth or you can do Porcelain Veneer on them. 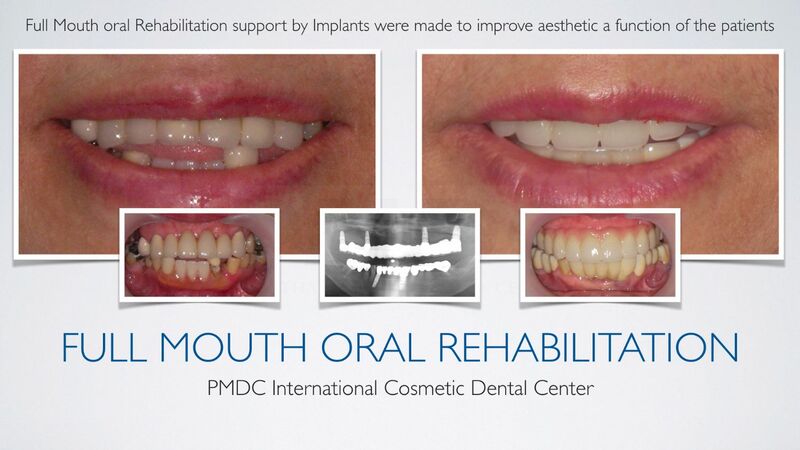 Our Specialist will recommend the appropriate treatment for you. 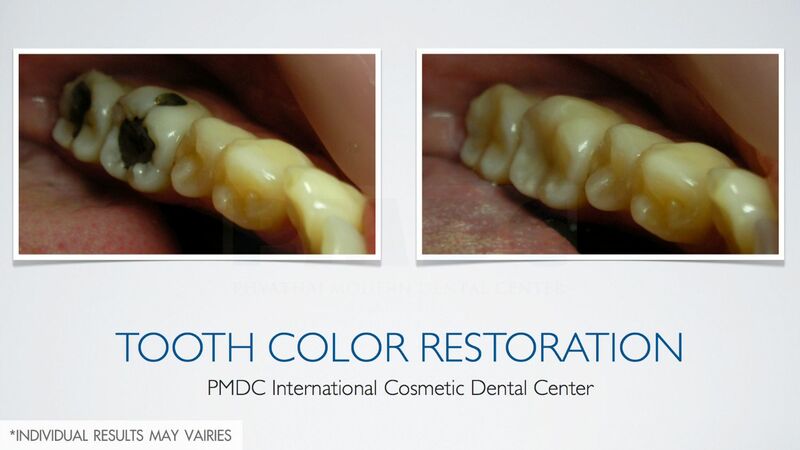 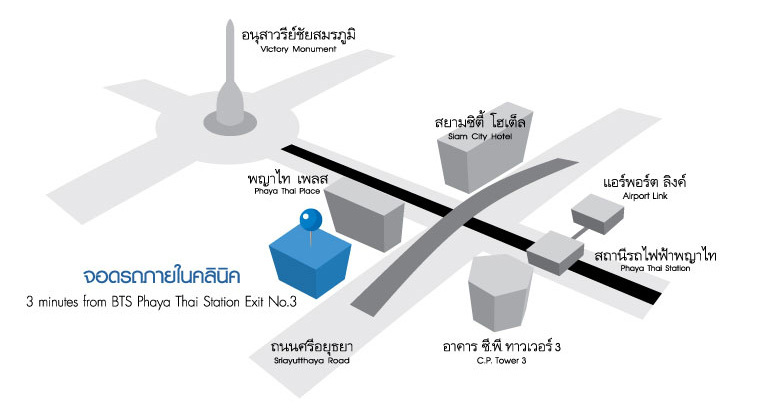 In our dental center we do only tooth color restoration. 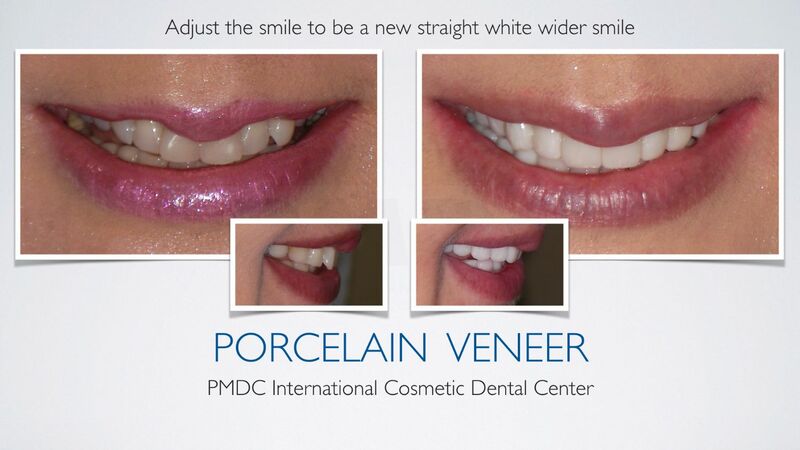 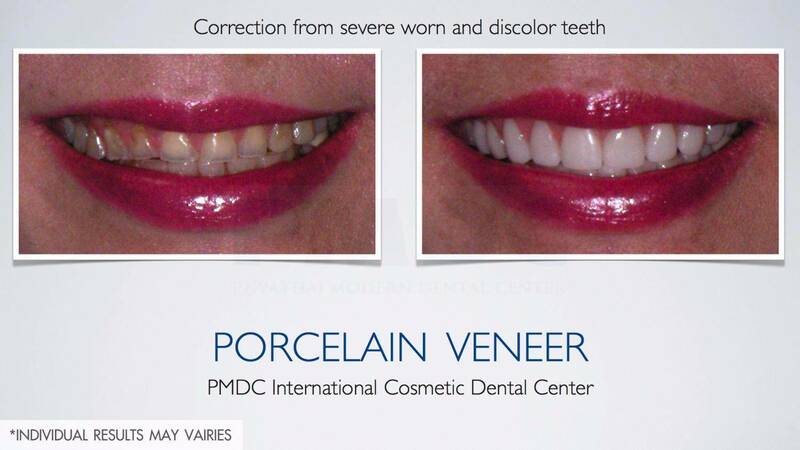 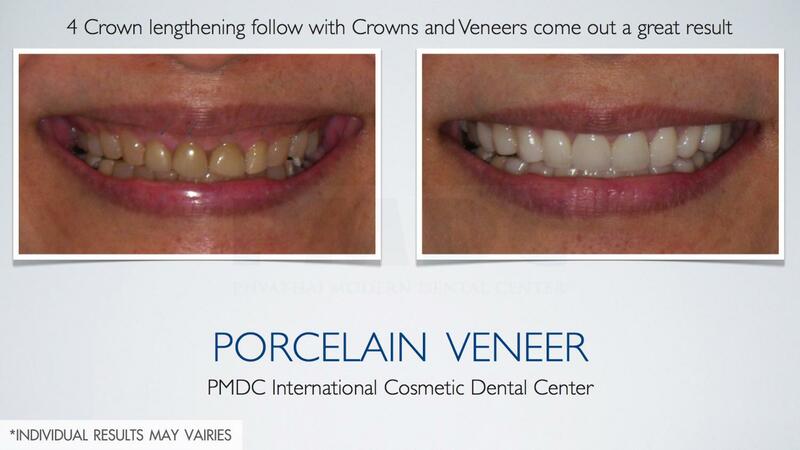 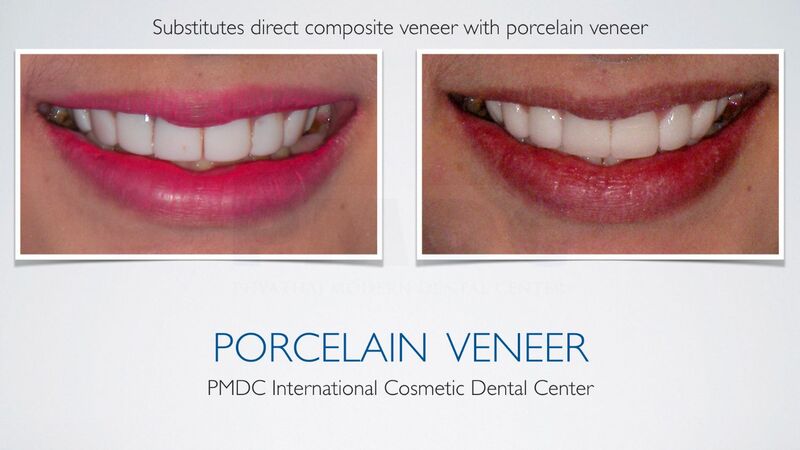 We do it with direct Compsite filling or Porcelain Inlay. 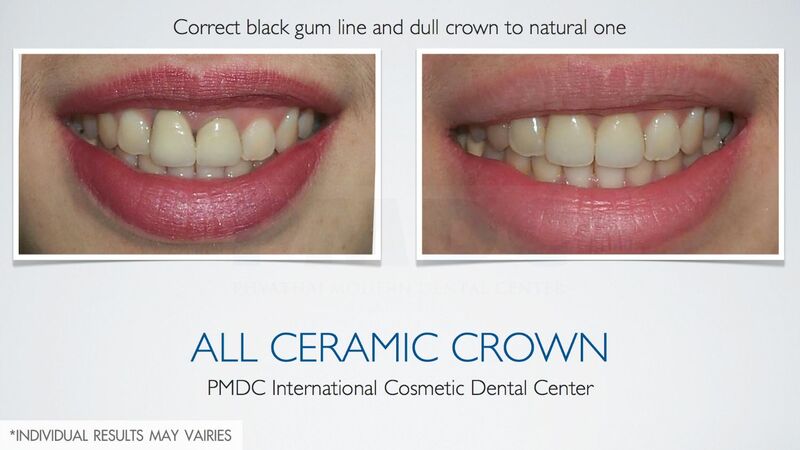 If you have old fashion black color amalgum, you can plan to change it with tooth color restoration.